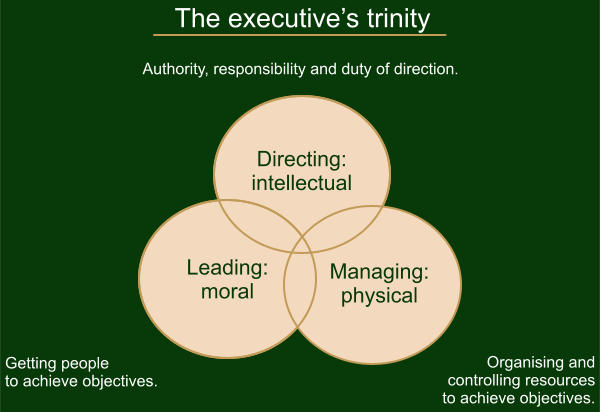 Using this framework, he then articulates the gaps that exist in the standard paradigm around the executive skill sets: while “managing” (they way Bungay defines it) often gets discounted, “directing” and “leading” tend to be merged together under “leadership”, even though the skills that are required to do each well are rather different (as one is dealing with concepts while the other is dealing with people) – which often leads to training people in one but not the other. I know this sounds a bit abstract, so let’s bring it down to earth with a real world example. You know you have a good framework when others are using it without even knowing it. In it, he decomposes product leadership into three components: Operational Leadership, People Leadership, and Thought Leadership. Sounds familiar? That’s because it is. Ameet’s narrative matches Stephen’s framework exactly: operational = managing, people = leading , thought = directing.